Includes: 2 powerful dj speakers, dj lights, wireless mic (upon request) up to 4 hours! good for house parties! Agreement is required, plus 50% deposit when hired & remaining 50% on day of the event. $600 for up to 5 hours! 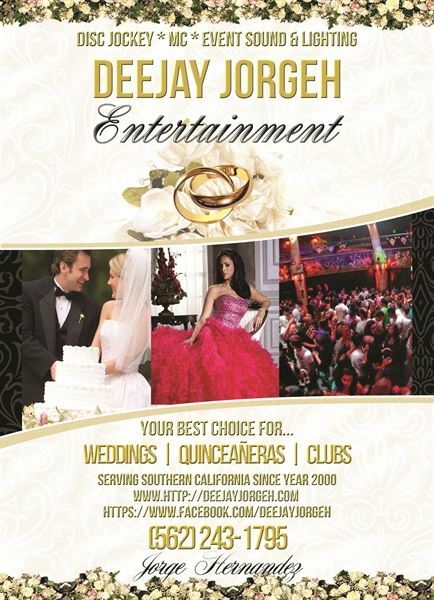 includes great sound system & dj lights for up to 150 people! good for small weddings, back yard house parties, meetings etc...we offer video-music mixing and uplighting for extra charge!